1.Shine like a star in our LED Star Sunglasses. 2.Shaped like starts, our clear plastic glasses are perfect at any party or patriotic celebration. 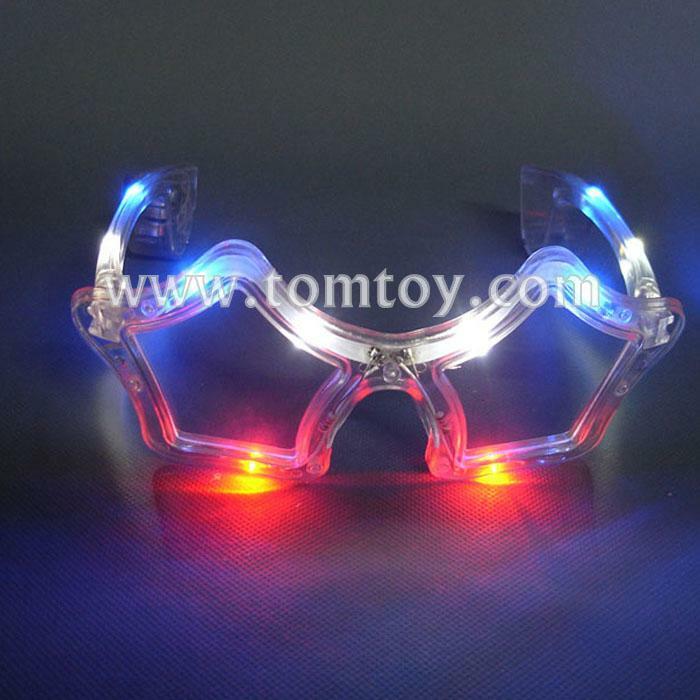 3.These glasses feature 2 red, 4 white, and 4 blue LEDs.